The U.S. Criminal Government (Privatized) – Whistleblowers or “Resistors to Oppression” – A Four Star General Indicted for “Spying”? – U.S. Military Resistance Figures – Stuxnet and Flame Viruses – U.S. Military Hindering Isreali Ambitions? Are American public servants, civilian or military, who face a minimum of 30 years in prison for revealing U.S. state secrets to the press “whistleblowers” exercising power in a democratic system, or are they “resistors to oppression” at the hands of a military-police dictatorship? The answer to this question does not depend on our own political opinions, but on the nature of the U.S. government. The answer completely changes if we focus on the case of Bradley Manning, the young leftist Wikileaks soldier, or if we consider that of General Cartwright, military adviser to President Obama, indicted Thursday, 27 June 2013, for spying. Here, a look back is needed to understand how one shifts from “espionage” in favor of a foreign power, to “disloyalty” to a criminal organization that employs you. However, Congress did not heed him immediately. After the U.S. entry into the war, it passed the Espionage Act, taking in most of the British Official Secrets Act. It was no longer a matter of censoring the press, but of cutting off access to information by muzzling the custodians of state secrets. This device allows the Anglo-Saxons to present themselves as “defenders of freedom of expression“, though they are the worst violators of the democratic right to information, constitutionally defended by the Scandinavian countries. Thus, the Anglo-Americans are less informed about what is happening at home than are foreigners. For example, during World War II, the United States, the United Kingdom and Canada managed to keep under wraps something as big as the Manhattan Project, that created the first nuclear bomb, while it employed 130,000 people for 4 years and it was widely penetrated by foreign intelligence services. Why? Because Washington did not prepare the weapon for this war, but for the next, against the Soviet Union. As shown by Russian historians, the abdication of Japan was postponed until after Hiroshima and Nagasaki were destroyed as a warning to the USSR. If Americans had known that their country possessed such a weapon, their leaders would have had to use it to finish with Germany and not to threaten the Soviet ally at the expense of the Japanese. In reality, the Cold War began before the end of World War II . In terms of secrecy, it should be noted that Stalin and Hitler were informed of the Manhattan Project from its inception. They indeed had inside agents. Meanwhile Truman was informed in his capacity as vice president, but only at the last moment, after the death of President Roosevelt. In any event, the Espionage Act deals only secondarily with espionage as shown by its jurisprudence. In wartime, it is used to punish dissent. Thus, in 1919, the Supreme Court recognized in Schrenck v. United States, and Abrams v. United States, that calling for insubordination or non-intervention against the Russian Revolution fell under the Espionage Act. In peacetime, the same law serves to prevent public officials from exposing a system of fraud or crimes committed by the state, even if their revelations are already known, but not yet proven. Under the administration of Barack Obama, the Espionage Act has been invoked 8 times, a peacetime record. Let’s put aside the case of John Kiriakou, a CIA officer who revealed the detention and torture of Abu Zubaydah. Far from being a hero, Kiriakou is actually an agent provocateur funded by the Agency, whose role it was to delude the public regarding pseudo-confessions extorted from Zubaydah to justify, a posteriori, the “fight against terrorism“”. Let’s also eliminate the case of Shamal Leibowitz, since his revelations were never released to the public. There remain six cases instructing us about the U.S. military-police system. Stephen Jin-Woo Kim confirmed to Fox News that North Korea was preparing a nuclear test regardless of U.S. threats; a confirmation that caused no harm to the USA other than pointing out their inability to be obeyed by North Korea. In another context, this information had already been released by Bob Woodward without provoking reactions. Andrew Thomas Drake revealed the mismanagement of the Trailblazer program to a member of the U.S. House of Representatives Intelligence Committee. He was alleged to have informed those congressmen tasked with keeping an eye on the intelligence agencies with regard to the billions that the NSA was secretly throwing out the window. Trailblazer sought to find a way to plant viruses on any computer or mobile phone. It has never worked. In a similar vein, Edward Snowden, an employee of the Booz Allen Hamilton technology consulting firm, published various NSA documents attesting to U.S. spying in China as well as on the guests of the British G20. Above all, he has revealed the scope of the military phone tapping and internet spy system, which no one can escape, not even the President of the United States. U.S. politicians described Snowden as “a traitor to kill” only because his documents prevent the NSA from continuing to deny before Congress activities long known to all. Jeffrey Alexander Sterling is a CIA employee who revealed “Operation Merlin” to the New York Times. 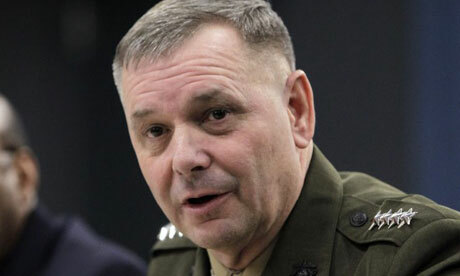 More surprisingly, General James Cartwright was number two man in the military, in his capacity as Vice-Chairman of the Joint Chiefs of Staff and so close an advisor to the President as to be dubbed “Obama’s general”. He supposedly revealed “Operation Olympic Games” to the New York Times last year and has been placed under investigation, according to CNN. Sterling and Cartwright don’t buy into the Israeli myth of “the atomic bomb of the mullahs.” So they tried to defuse the war into which Tel Aviv is trying to plunge their country. “Operation Merlin” consisted in sending to Iran false information about the manufacture of the bomb. In reality, it was supposed to push Iran to engage in a military nuclear program to justify a posteriori the Israeli accusation . As for “Operation Olympic Games,” it was meant to implant the Stuxnet and Flame viruses in the Natanz plant, to disrupt its operation, notably that of its centrifuges . It was therefore intended to block Iran’s civilian nuclear program. None of these revelations damaged U.S. interests, but they hindered Israeli ambitions. A salon opposition presents the men indicted under the Espionage Act as “whistleblowers“, as if the United States today were a real democracy and they were alerting citizens to the need to correct some errors. In fact, what they show us is that in the United States, from a common soldier (Bradley Manning) to the second in command (General Cartwright), men are trying as best they can to fight against a dictatorial system in which they discover themselves to be a cog. Faced with a monstrous system, they ought to be celebrated as major resistance figures such as Admiral Canaris or Count Stauffenberg.